Beginning at the end of the nineteenth century, immigration into the United States rocketed to never-before-seen heights. Many of these new immigrants were coming from eastern and southern Europe and, for many English-speaking, native-born Americans of northern European descent, the growing diversity of new languages, customs, and religions triggered anxiety and racial animosity. In reaction, some embraced nativism, prizing white Americans with older family trees over more recent immigrants, and rejecting outside influences in favor of their own local customs. Nativists also stoked a sense of fear over the perceived foreign threat, pointing to the anarchist assassinations of the Spanish prime minister in 1897, the Italian king in 1900, and even President William McKinley in 1901 as proof. Following the Bolshevik Revolution in Russia in November 1917, the sense of an inevitable foreign or communist threat only grew among those already predisposed to distrust immigrants. The sense of fear and anxiety over the rising tide of immigration came to a head with the trial of Nicola Sacco and Bartolomeo Vanzetti. Sacco and Vanzetti were Italian immigrants who were accused of being part of a robbery and murder in Braintree, Massachusetts, in 1920. There was no direct evidence linking them to the crime, but (in addition to being immigrants) both men were anarchists who favored the destruction of the American market-based, capitalistic society through violence. At their trial, the district attorney emphasized Sacco and Vanzetti’s radical views, and the jury found them guilty on July 14, 1921. Despite subsequent motions and appeals based on ballistics testing, recanted testimony, and an ex-convict’s confession, both men were executed on August 23, 1927. Bartolomeo Vanzetti and Nicola Sacco (a) sit in handcuffs at Dedham Superior Court in Massachusetts in 1923. After the verdict in 1921, protesters demonstrated (b) in London, England, hoping to save Sacco and Vanzetti from execution. Opinions on the trial and judgment tended to divide along nativist-immigrant lines, with immigrants supporting the innocence of the condemned pair. The verdict sparked protests from Italian and other immigrant groups, as well as from noted intellectuals such as writer John Dos Passos, satirist Dorothy Parker, and famed physicist Albert Einstein. Muckraker Upton Sinclair based his indictment of the American justice system, the “documentary novel” Boston, on Sacco and Vanzetti’s trial, which he considered a gross miscarriage of justice. As the execution neared, the radical labor union Industrial Workers of the World called for a three-day nationwide walkout, leading to the Great Colorado Coal Strike of 1927. Protests occurred worldwide from Tokyo to Buenos Aires to London. The Library of Congress’s immigration collection contains information on different immigrant groups, the timelines of their immigration, maps of their settlement routes, and the reasons they came. Click the images on the left navigation bar to learn about each group. 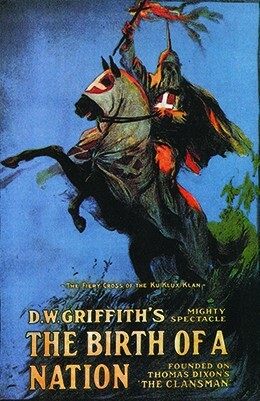 A theatrical release poster for The Birth of a Nation, in 1915. The film glorified the role of the Ku Klux Klan in quelling the threat of black power during Reconstruction. In a letter dated April 17, 1915, Mary Childs Nerney, a secretary of the NAACP, wrote to a local censor to request that certain scenes be cut from The Birth of a Nation. In this 1921 image from the Denver News, three Ku Klux Klan members (two women and one man) stand in front of a burning cross. 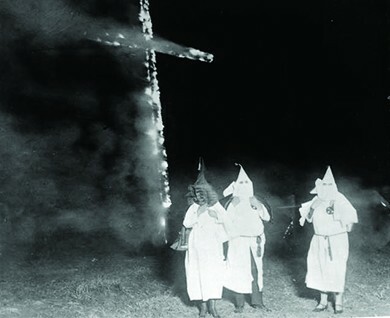 The Ku Klux Klan, which had been dormant since the end of Reconstruction in 1877, experienced a resurgence of attention following the popularity of the film. Just months after the film’s release, a second incarnation of the Klan was established at Stone Mountain, Georgia, under the leadership of William Simmons. This new Klan now publicly eschewed violence and received mainstream support. Its embrace of Protestantism, anti-Catholicism, and anti-Semitism, and its appeals for stricter immigration policies, gained the group a level of acceptance by nativists with similar prejudices. The group was not merely a male organization: The ranks of the Klan also included many women, with chapters of its women’s auxiliary in locations across the country. These women’s groups were active in a number of reform-minded activities, such as advocating for prohibition and the distribution of Bibles at public schools. But they also participated in more expressly Klan activities like burning crosses and the public denunciation of Catholics and Jews. By 1924, this Second Ku Klux Klan had six million members in the South, West, and, particularly, the Midwest—more Americans than there were in the nation’s labor unions at the time. While the organization publicly abstained from violence, its members continued to employ intimidation, violence, and terrorism against its victims, particularly in the South. The American Civil Liberties Union (ACLU) hoped to challenge the Butler Act as an infringement of the freedom of speech. As a defendant, the ACLU enlisted teacher and coach John Scopes, who suggested that he may have taught evolution while substituting for an ill biology teacher. Town leaders in Dayton, Tennessee, for their part, sensed an opportunity to promote their town, which had lost more than one-third of its population, and welcomed the ACLU to stage a test case against the Butler Act. The ACLU and the town got their wish as the Scopes Monkey Trial, as the newspapers publicized it, quickly turned into a carnival that captured the attention of the country and epitomized the nation’s urban/rural divide. 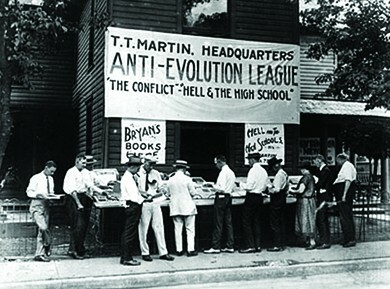 During the Scopes Monkey Trial, supporters of the Butler Act read literature at the headquarters of the Anti-Evolution League in Dayton, Tennessee. H. L. Mencken covered the trial for Baltimore’s The Evening Sun. One of most popular writers of social satire of his age, Mencken was very critical of the South, the trial, and especially Bryan. He coined the terms “monkey trial” and “Bible belt.” In the excerpt below, Mencken reflects on the trial’s outcome and its overall importance for the United States. 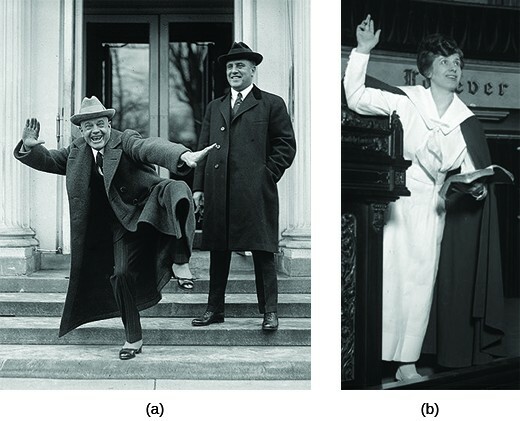 Indicative of the revival of Protestant fundamentalism and the rejection of evolution among rural and white Americans was the rise of Billy Sunday. As a young man, Sunday had gained fame as a baseball player with exceptional skill and speed. Later, he found even more celebrity as the nation’s most revered evangelist, drawing huge crowds at camp meetings around the country. He was one of the most influential evangelists of the time and had access to some of the wealthiest and most powerful families in the country. Sunday rallied many Americans around “old-time” fundamentalist religion and garnered support for prohibition. Recognizing Sunday’s popular appeal, Bryan attempted to bring him to Dayton for the Scopes trial, although Sunday politely refused. Even more spectacular than the rise of Billy Sunday was the popularity of Aimee Semple McPherson, a Canadian Pentecostal preacher whose Foursquare Church in Los Angeles catered to the large community of midwestern transplants and newcomers to California. Although her message promoted the fundamental truths of the Bible, her style was anything but old fashioned. Dressed in tight-fitting clothes and wearing makeup, she held radio-broadcast services in large venues that resembled concert halls and staged spectacular faith-healing performances. Blending Hollywood style and modern technology with a message of fundamentalist Christianity, McPherson exemplified the contradictions of the decade well before public revelations about her scandalous love affair cost her much of her status and following.